Horses aren’t the only farm animal that tends to get big. Cows can grow to be unusual sizes, such as Blosom, the 6ft high bovine that weighed 2,000 lbs and produced 72,000lbs of milk per year. 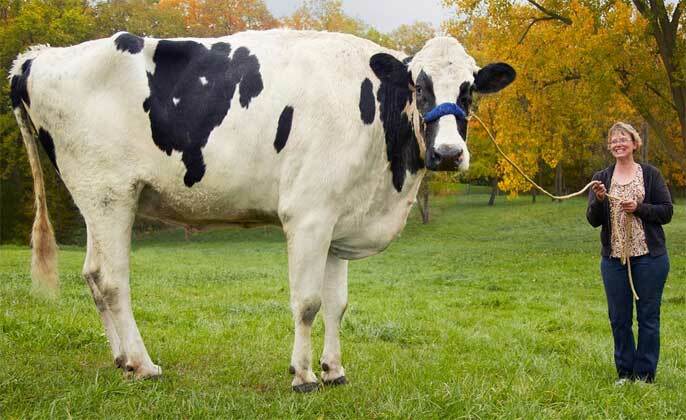 Blosom died in July of 2015 on her farm in Ireland, but was still awarded “world’s largest cow” by Guiness later that year.